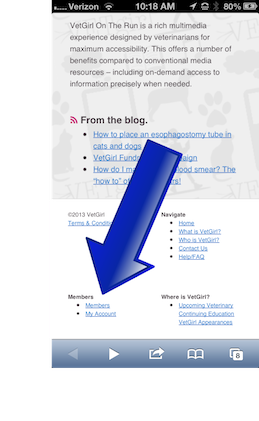 VETgirl, a subscription-based podcast and webinar service, offers online, RACE-approved veterinary continuing education. Don't want to hassle with traveling to a veterinary conference for your CE? 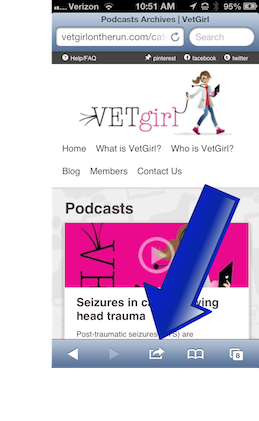 Get over 30+ hours of online veterinary CE through your iPad, desktop, or Smart Phone! 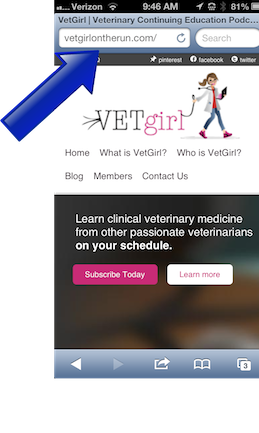 So, in order to get the most out of your VETgirl subscription, make sure to use the mobile-friendly version of our website. Follow these directions below to add us to your home screen for ease of use! 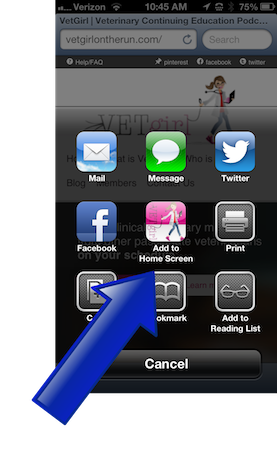 Step 1: Open Safari on your iPhone (or other mobile device) and go to www.vetgirlontherun.com. Step 2: Scroll down and click on the 'members' link. 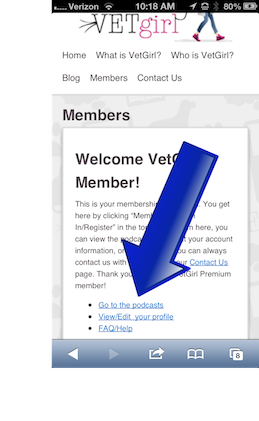 Step 3: Click on the 'Go to the podcasts" link. Step 4: Click on middle icon with the box and the arrow. 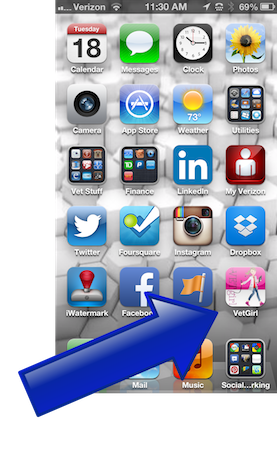 Step 5: Click on the 'Add to homescreen icon"
Step 6: Name your new icon and place it somewhere easy to find for quick access to our website at all times!